A smartphone application makes meditation easy. With our lives constantly on overload from daily work and life stress it can be difficult to find the time to quiet our minds and be truly free of distraction. With the increasing popularity of meditation and mindfulness, the achievement of these lofty goals may be less of a challenge. Headspace, founded by Andy Puddicombe (an ordained Buddhist monk) and Rich Pearson, is a popular smartphone app, for both iPhone and Android platforms, that makes meditation simple and accessible to everyone. Its focus is on breathing, mentally scanning your body, noting sensations, and then applying labels to parts of your consciousness. The app offers a free subscription with limited meditation modules as well as a monthly or yearly subscription. Meditation is a technique that can be used to calm the mind, reduce stress, and achieve mental clarity by focusing on the present moment. The idea of meditating may seem daunting at first. 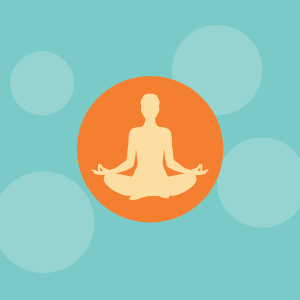 Headspace begins with the foundation section, which helps simplify the techniques of meditation. Completion of the foundation section is essential for advanced meditation. The section consists of 3 modules, each with 10 sessions. The sessions take from 5 to 20 minutes and increase in length as you progress through the sections. Once the foundation section is complete, one should feel confident to delve into the other meditation modules the app has to offer. These include Health (stress, anxiety, sleep), Brave (regret, anger, change, restlessness), Happiness (self-esteem, relationships), Work (productivity and focus), and Sports (motivation, competition, rehab). In addition there are single sessions available when one is pressed for time. The sessions last from one to five minutes. A new section for children has been recently added with animations. One nice feature is the ability to schedule notifications to remind you when it’s time to meditate and establish a routine. As a beginner, I found this app to be helpful and a significant addition to my daily life. Initially I found it hard to focus, but Andy Puddicome’s soothing voice and directions guided me in reducing stress and anxiety. Carly Andrascik, BS, is a graduate of Radford University and practices in Los Angeles, California. She can be reached at andrascikc@gmail.com.